We cap off the month with a review of a recent release, Donkey Kong Country: Tropical Freeze, Retro Studios' second outing with Nintendo's great gorilla. Does it surpass the Wii game? Let's find out with our review. 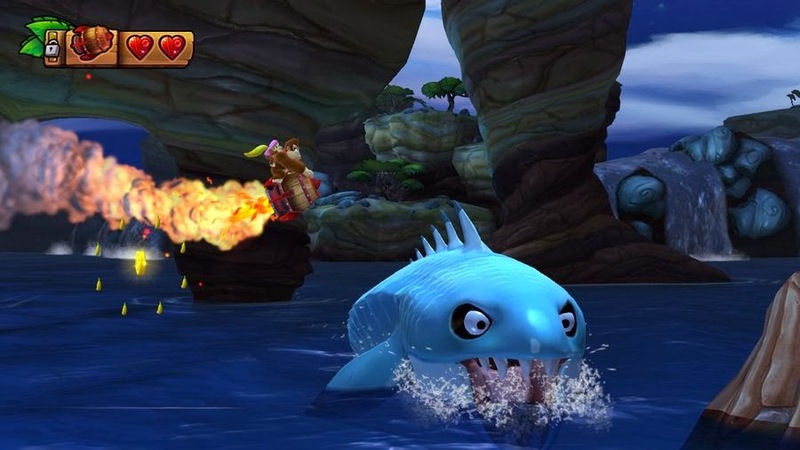 Donkey Kong Country fans waited over a decade for a return to Rare's beloved formula. 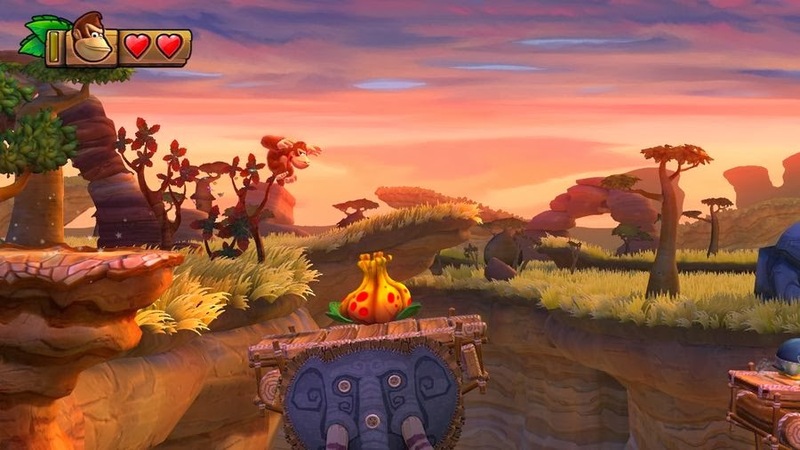 While they didn't receive a game from the original creators themselves, Retro Studios more than proved themselves worthy of taking over the Donkey Kong Country name with 2010's Donkey Kong Country Returns. It's now 2014, and on a console already spoiled with platforming riches, Retro Studios is at it again with a followup to 2010's Wii entry, this time on the Wii U. While many can argue it's not the game the Wii U needs to move console units, Donkey Kong Country: Tropical Freeze is as close to platforming nirvana as one can get. 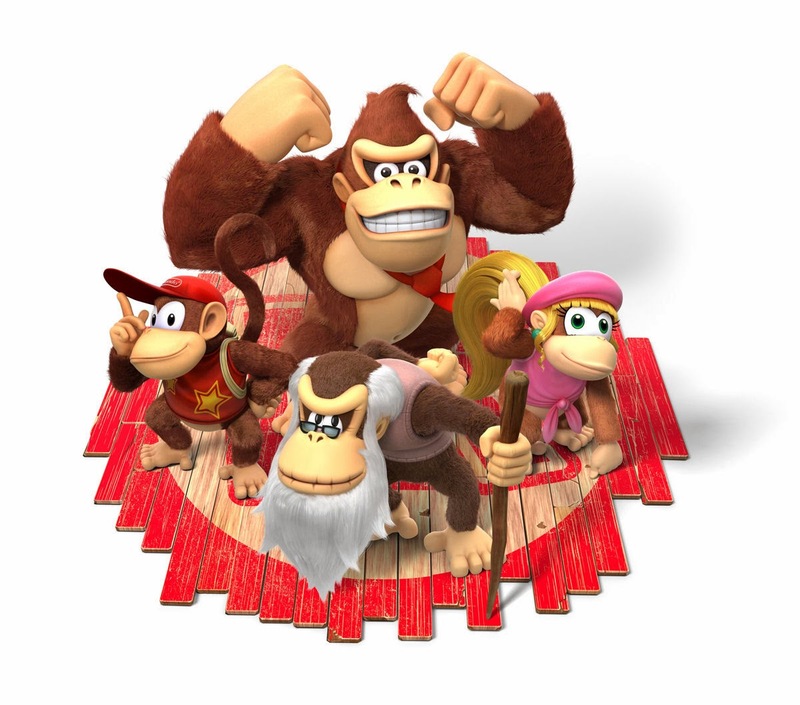 Donkey Kong, Diddy Kong, Dixie Kong, and Cranky Kong are all at a birthday celebration for Donkey Kong. As DK is about to blow out his cake candle, a strong burst of arctic air comes in. 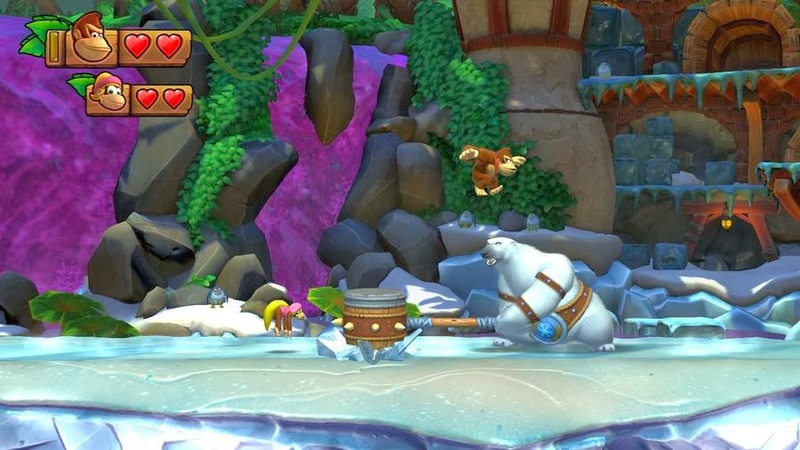 A new enemy has arrived at DK Island, the Snowmads, and with a blow of an ancient horn, the entire island freezes over, and in the process, blows DK and pals far, far away. Now, DK and the gang must move from island to island, hoping to return their iced over homeland and kick out the Snowmad forces occupying it. It won't be easy, but seldom anything worthwhile ever is. Donkey Kong doesn't just have his best bud Diddy along for the adventure this time. No, Dixie Kong who debuted in Donkey Kong Country 2, and Cranky Kong, playable for the first time in the DKC series, join the two characters. Each Kong has its own special ability. Diddy Kong can use his rocket pack to hover across gaps for a limited amount of time. Dixie Kong can twirl her hair like a helicopter, giving her the ability to slowly float downward as well as get some extra air. Finally, Cranky Kong goes all Scrooge McDuck, making the surprisingly competent old Kong curmudgeon be able to use his cane as a pogo stick, reaching new heights and bouncing off spikes effortlessly. 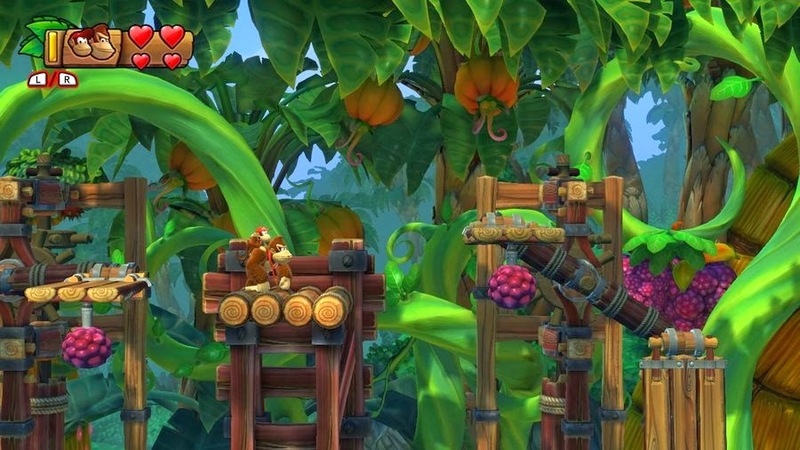 Some areas in the game are only accessible if the player has a particular Kong with them. In single player, Donkey Kong has one of the given Kongs on his back. Several DK barrels allow him to change his partner. 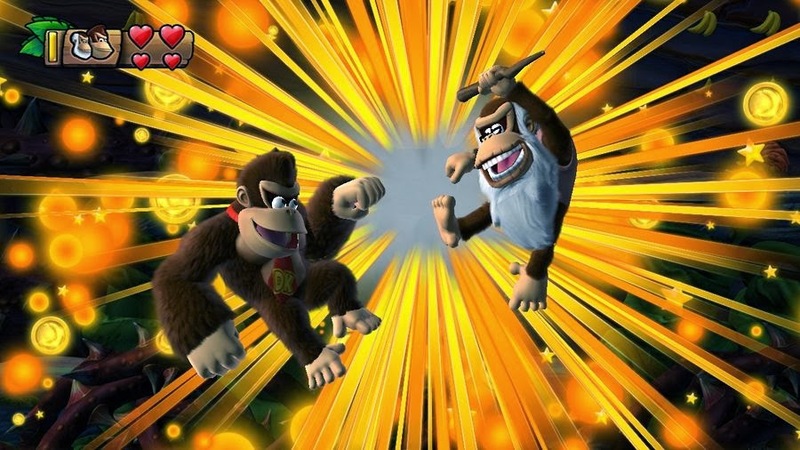 Usually the barrels alternate between Kongs, allowing the player to pick up the barrel when they see the character they wish to partner with. 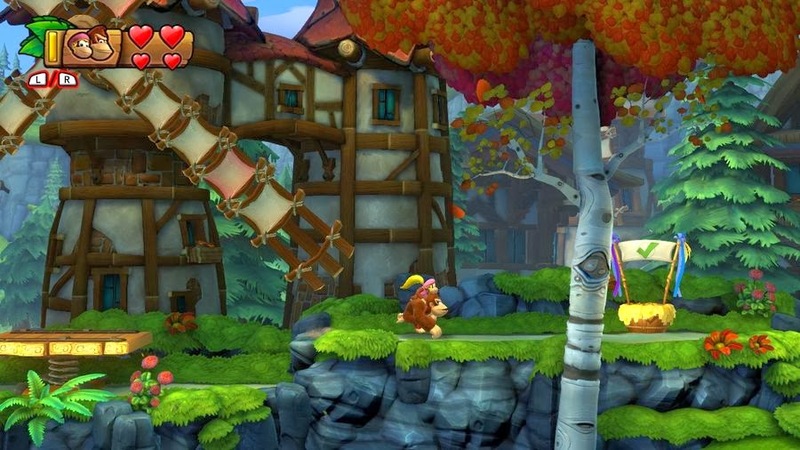 In multiplayer mode, the two monkeys are individuals, but are able to team up on certain tricky platforming sections that would be difficult to pull off with two players moving separately from one another. An oversight that drags multiplayer down is that if the second player wants to change what Kong they're playing as, they have to drop out of the game, come back in, and select which Kong they want to change to, a process that takes at least 20 seconds on a good day. This is a needlessly clunky way of doing things when you consider that Super Mario 3D World allowed players to press one button to back out and quickly switch to whichever character they wanted. New to the series is a special move that is able to be unleashed when enough bananas have been collected. 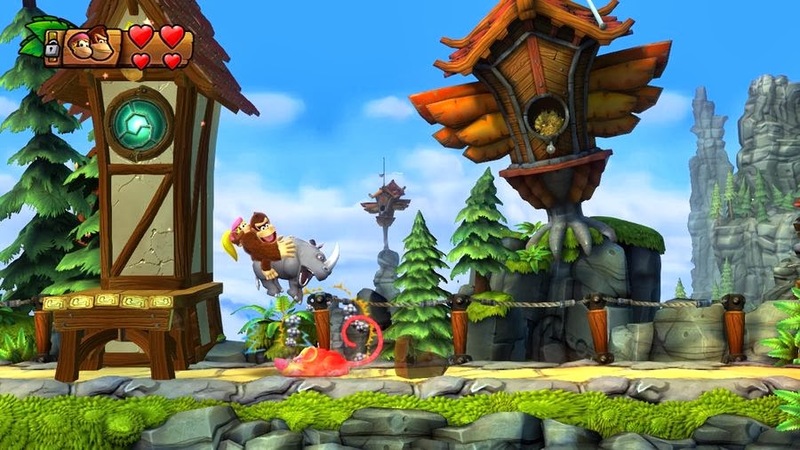 This move, Kong Pow, destroys all enemies on the screen instantly. Depending on which character is with Donkey Kong, the enemies will either leave in their wake 1-up balloons, yellow hearts, or banana coins. Kong Pow isn't a mandatory move, and it really doesn't do anything all that exciting to prove its necessity to be in the game. 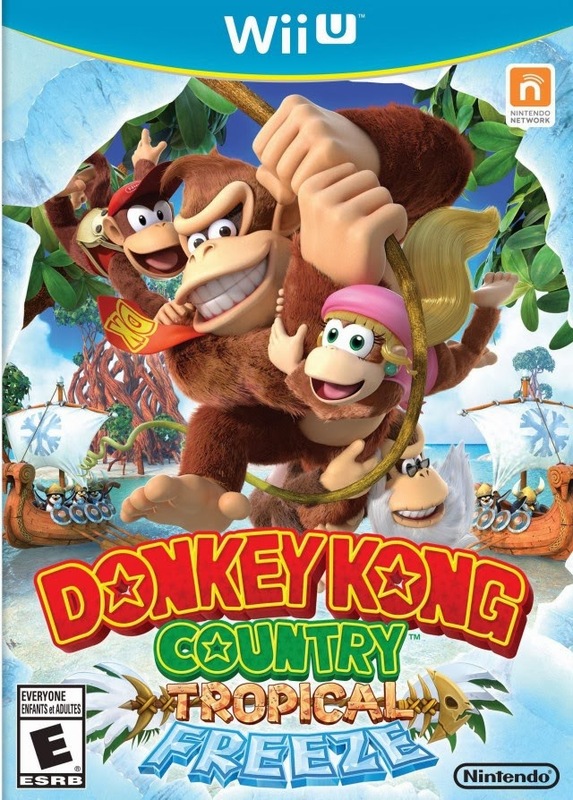 Donkey Kong Country: Tropical Freeze is made up of six unique islands, each with their own variety of environments and levels to master. While there are indeed fewer worlds than in its predecessor, Tropical Freeze boasts more levels per world. In addition to this, there are various alternate exits, ten total, that open the way to otherwise locked levels. The secret exits usually require a certain Kong to reach them. reach the daily recommended servings of fruit. The greatest asset to Tropical Freeze is its masterfully crafted level design. Each introduces its own special type of obstacles to overcome. One level you're bouncing off jelly platforms, another you're riding across zip-lines over bottomless pits, while another you're putting out fires in a burning jungle setting. There's even the return of swimming sections from the original Donkey Kong Country trilogy, as well as levels where DK, the enemies, and the foreground are cast in shadow, making for some really beautiful and artistic levels. 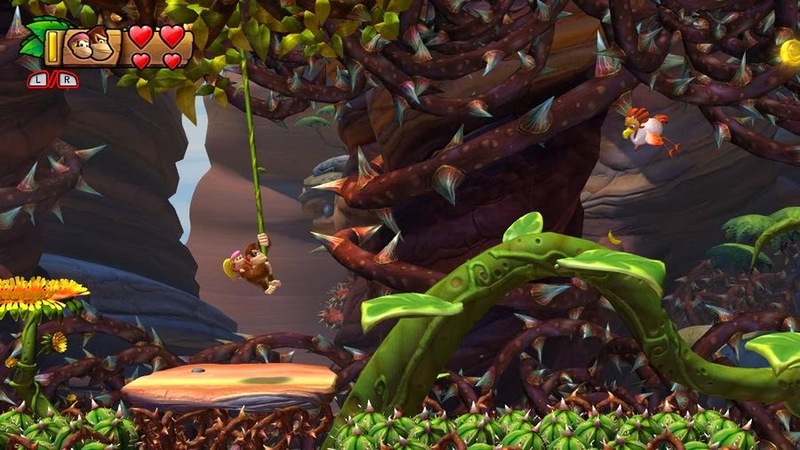 Speaking of which, the numerous amount of breathtaking locales, helped visually by some of the most detailed and inspired backgrounds ever seen in a 2D platformer, make Donkey Kong Country: Tropical Freeze's levels a blast to play. Not only are levels designed for simply getting through normally, but they are also created with the capability for speed run sessions. Each platform, enemy, and obstacle was surely carefully considered and placed by Retro Studios' level designers to make speed runs work flawlessly. It's stunning to me how the levels work both in the story mode and in time attack runs so incredibly well. 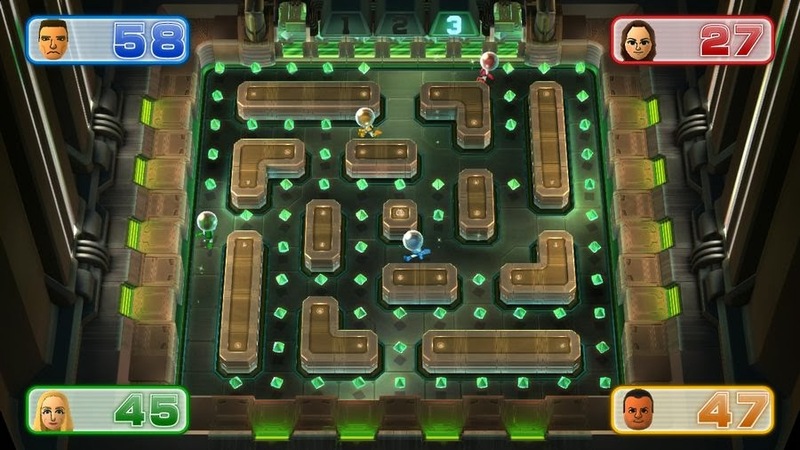 Returning from the 2010 Wii game, mine cart levels and rocket barrel levels (ones that have the player hitting and releasing a single button to raise and lower the barrel, avoiding hazards along the way) were infamously difficult and more trial and error than anything else in that game. Tropical Freeze makes these levels more fun and fairer with the addition of being able to be hit twice before dying as opposed to the all too common one hit kills that Donkey Kong Country Returns netted players. 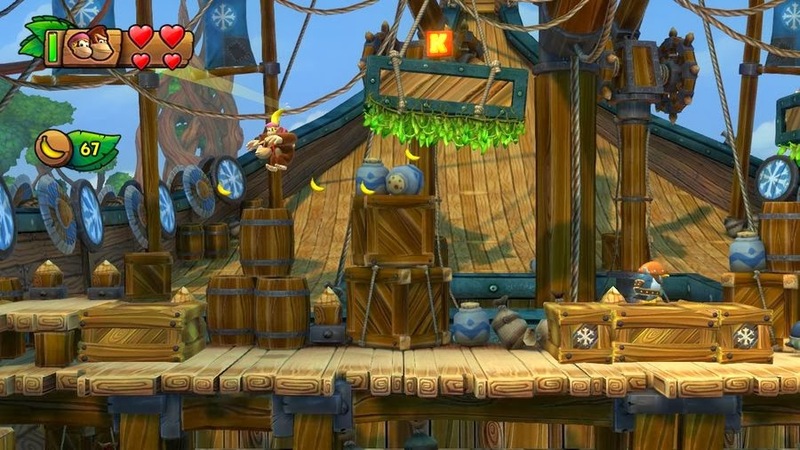 One of the cooler mine cart levels has Donkey Kong and a partner riding through a sawmill, leaping over chasms and other hazards, jumping on makeshift wooden platforms carved by a saw blade that makes chase to the Kongs, and parts where the player rides on top of a body of water, diving underwater for a short period of time when the Kongs jump. more forgiving but still pose a challenge. Each island concludes with a multi-phase boss fight. These are much improved over what was seen in Donkey Kong Country Returns. They're more challenging, more fun to fight, and will get the player's pulse pounding and hands sweating. Each boss follows a particular pattern, but even after learning each boss' tells, it can still be rather difficult to avoid attacks. Still, there is a grand sense of accomplishment in defeating a boss after failing consistently. If for some reason levels become too challenging, there are ways to overcome them with some assistance. While the Super Kong system from Returns does not make a comeback, Funky Kong's shop offers an abundance of helpful items that may very well save the player in a pickle. With banana coins, one can purchase items that save them from falling into a pit, items that give DK and friends extra health to work with, items that protect the Kongs from one crash on mine cart and rocket barrel levels, and much more. These aren't necessary to fully enjoy the game, but if one is really struggling with a particular level or spot in a stage, these bonuses can be a blessing. I came, I saw a saw, I conquered. As with Donkey Kong Country Returns, KONG letters and puzzle pieces return. The former unlocks a special super-hard, hair-pulling, teeth-gritting temple level when all of the letters in a world are collected (making six temple levels total). Completing all of these levels unlocks a final world that puts your platforming skills through the wringer. 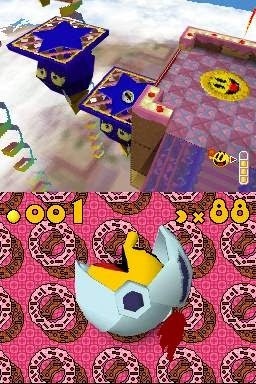 Puzzle pieces are found hidden away in each level, usually 5, 7, or 9 per level. Collecting every piece unlocks concept art in the image gallery. While this might not seem a cool bonus, the added challenge of getting puzzle pieces makes Tropical Freeze even more rewarding, as they are usually located in out of the way spots, places that require expert platforming precision, and bonus rooms. Bonus rooms contain a dozen or so variants that do repeat, unfortunately, which does come across as a little lazy. only playable animal buddy available. For those who couldn't stand shaking the Wii Remote and Nunchuk to perform rolls and other moves in the Wii predecessor, Tropical Freeze proudly supports the Wii U GamePad, Wii U Pro Controller, as well as the old control setups of Donkey Kong Country Returns. That means if you like to shake the controller, then waggle away. Unfortunately, the Wii U GamePad is not used creatively at all for Tropical Freeze. In fact, if you're playing the game on the TV, the GamePad's screen completely turns black. The only use that Tropical Freeze has for the GamePad is off TV play. franchise, albeit with an alteration or two. Donkey Kong Country: Tropical Freeze's screenshots do the game justice already, but looking at the game in motion makes the title look sensational even more. Backgrounds rarely repeat themselves, offering an amount of visual variety unparalleled in most other 2D games. The fur of each Kong is rendered marvelously, and the lighting only adds to the visual wonder. 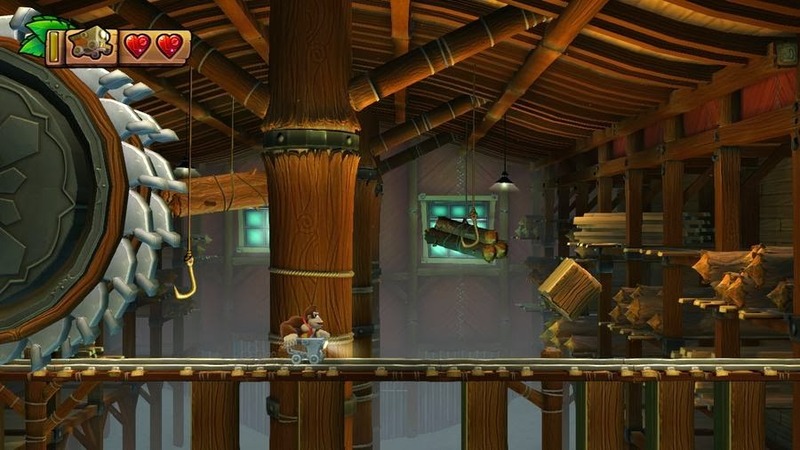 There's even portions of levels that forgo the 2D constraints of the game, offering a dynamic camera as the Kongs blast from barrels deep into the background. Sound-"wise", David Wise makes his long desired return to Nintendo, and he seriously makes up lost time. While the soundtrack is varied and features an immense amount of themes, a fair amount of them are more atmospheric than memorable. However, other themes, such as the fantastic Grassland Grove and Windmill Hills, make it so it looks like David Wise never missed a step. There's even numerous callbacks to past franchise themes, such as Lockjaw's Saga, Stickerbrush Symphony, and Life in the Mines. Overall, the package is both graphically and aurally amazing. For those who were clamoring for platforming of the utmost quality, Donkey Kong Country: Tropical Freeze delivers an enthralling adventure full of neat surprises, level ideas and design, wonderful songs, and gorgeous, well detailed visuals. 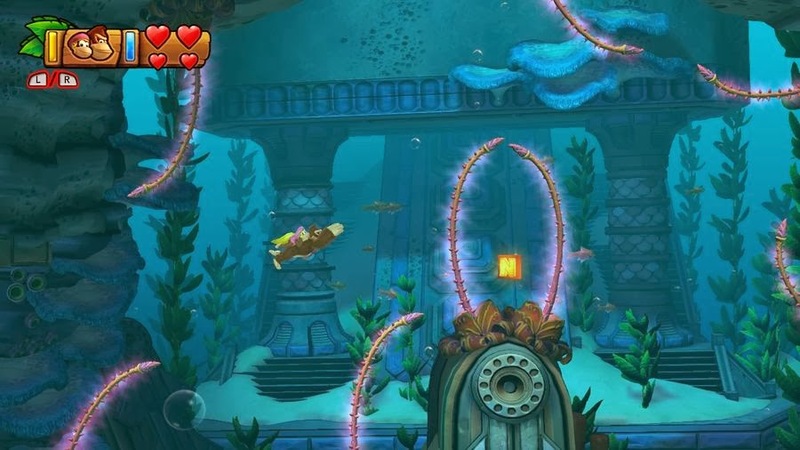 It's not a perfect game, as there are some annoyances here and there when one dies from several gotcha moments, but Tropical Freeze is a top tier platformer that has somehow surpassed Donkey Kong Country 2 as my favorite game starring Nintendo's great ape yet, something I thought would be impossible. Whether you're looking for a challenge or just a new Wii U game to play, Donkey Kong Country: Tropical Freeze will hold you over until winter finally retreats. Happy birthday to our founder Phil! Today marks his 28th birthday. What a great opportunity to have a party! That TOTALLY makes sense for us to review Wii Party U on Nintendo's eighth generation console. It fits so perfectly! Here is our review. Nintendo saw great success with its Wii line of games last generation. Even something that didn't really turn out as well, Wii Music, sold relatively well in the grand scheme of things. With the Wii U, Nintendo is returning to this line of software with much less prosperity. Truly, the large audience of casual players have moved on to mobile devices for their quick fix gaming sessions. That said, it doesn't detract from the quality of such titles like Wii Sports Club, Wii Fit U, and now Wii Party U. 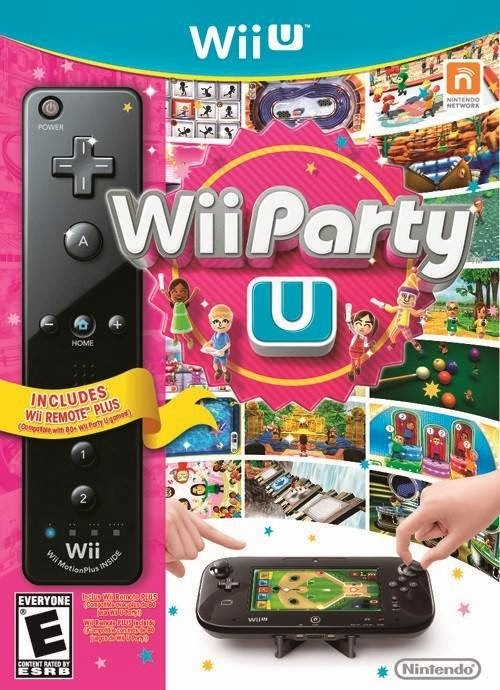 While many gamers would rather have another party with Mario and friends, Wii Party U definitely holds its own in the party department. not like this particular mini-game at all. First off, Wii Party U can most certainly not be criticized for lacking content. The game is packed with modes for many good times and social gatherings with friends or family, containing three separate categories of modes: TV Party, House Party, and GamePad Party. Party Phil hosts the festivities, introducing each modes' rules and offering suggestions to players who don't know what they want to dive into. While there is plenty for multiplayer gaming sessions, the majority of content is for 2+ players, some requiring 3 or 4 people. This means there's a sizable chunk of content that is inaccessible to a solo gamer. That said, what is available is pretty interesting. there's bound to be some competition. TV Party has a heavily reliance on 10-60 second mini-games to determine things like player order, for instance. 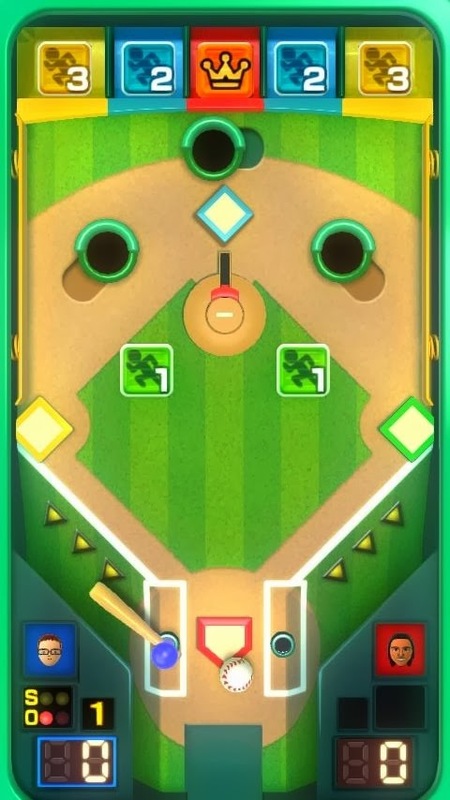 One example of a TV Party mode is Highway Rollers, a board game that has players competing to travel the 300+ spaces to the goal. 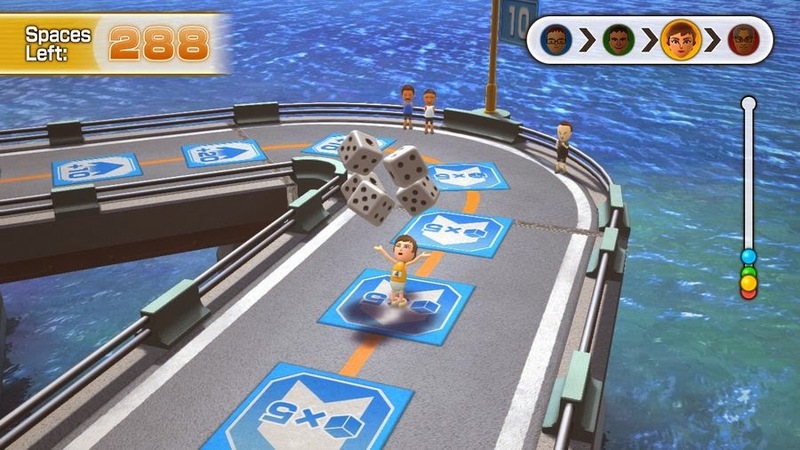 That's pretty hard to do with a single six-sided die, so in Highway Rollers, players get up to 10 dice to roll all at once, depending on their placement in each pre-round mini-game to blaze a trail along the linear path. This is all the while dealing with this massive zigzag bridge's variety of spaces, such as being shot from a cannon 20 spaces ahead or back, multiple bonus dice to roll either to move forward to backward, spaces that transport you to another player, or a space that begins a 1 vs 3 mini-game, with the winners being awarded bonus dice. Another board game is set on an island, and has two human players competing to reach the island's treasure before the other. 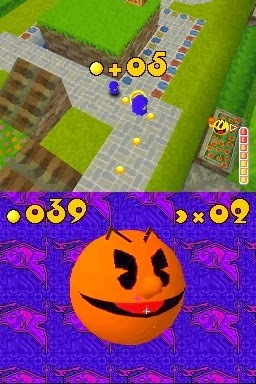 The mini-games used in Highway Rollers return, but there's also GamePad exclusive mini-games, although much simpler. Everything from determining your roll to tracing a door's pattern to open it relies on the GamePad. This island isn't big enough for the two of us. Then there's a board game involving switching between costume pieces and making laps on a linear city path to score points based on which costume parts you're wearing. Having a complete outfit nets the most points, some outfits scoring more points than others. Costume pieces are earned through landing on differently marked spaces around the board. 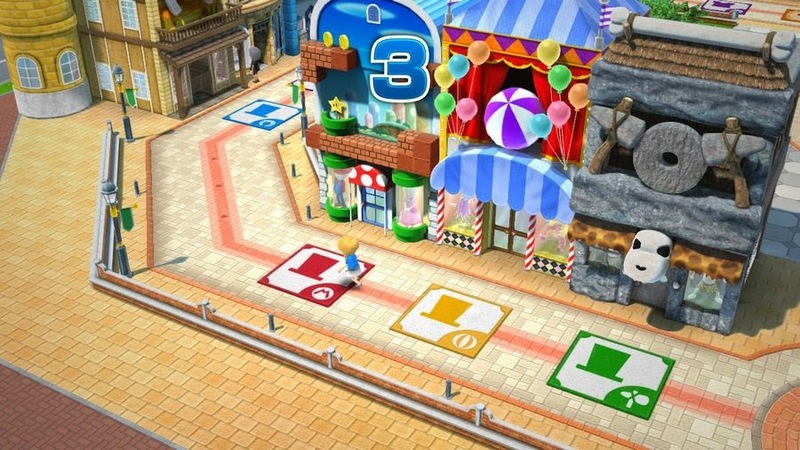 Mini-games pop up every five turns, giving players a pick of one costume addition to their wardrobe. There's even the ability to steal pieces from other players. 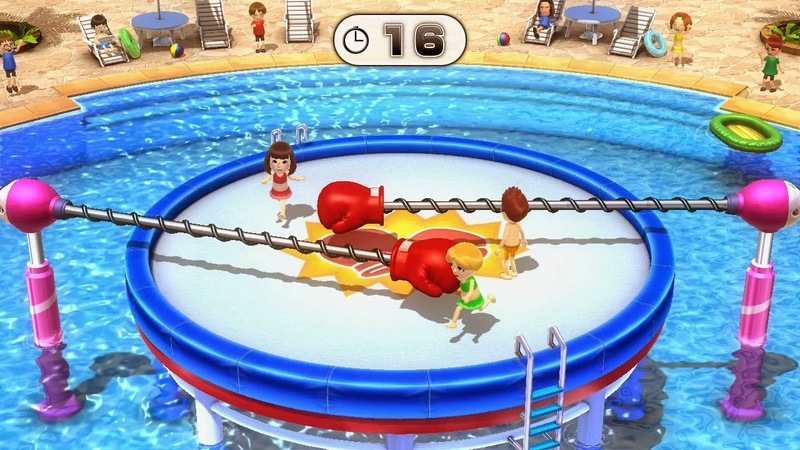 The mini-games of Wii Party U contain a lot of novel ideas and entertaining gameplay. Yes, there are some that are based solely on chance and some that are too simplistic to fully enjoy, but the majority offer a fair playing ground and enough depth for most people. Whether you're carefully trying to stay on a bucking bronco, trying to avoid being hit out of a gigantic pool table by an errant billiard balls, hitting the jump button with perfect timing to skip like a ninja across water, bopping other players with a hammer in hopes of popping their balloons, engaging in an outdoor version of musical chairs, or leaping into the air and tossing basketballs into the same net your opponents are trying to score in, there's many more fun games than there are ones that aren't. 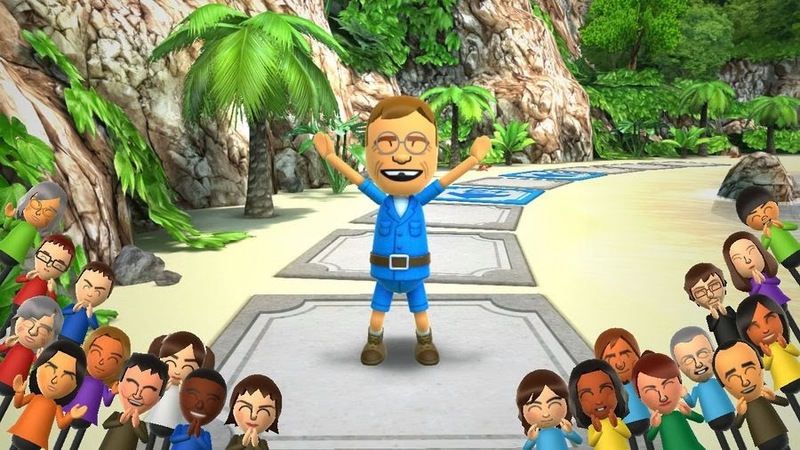 That said, you can let the Wii Party U community know your feelings on a mini-game by rating it on a scale of 1-5 stars. The overall rating of every player will show you which games you should play and which you should avoid like spoiled birthday cake. another with mallets-- they're wearing helmets! All of the free-for-all mini-games solely use the Wii Remote and do nothing with the Wii U GamePad. 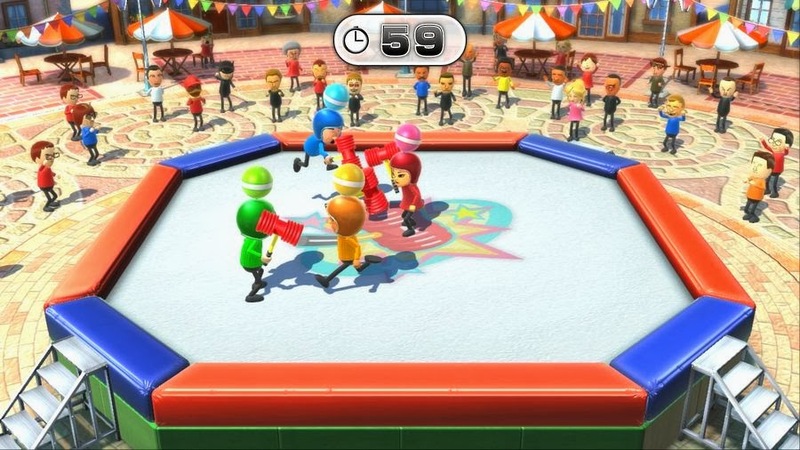 However, the 1 vs. 3 games has the sole player using the GamePad against the other three players, who use Wii Remotes and gaze upon the TV screen. This opens up a lot of intriguing games, like one where the GamePad player puts hidden booby traps on a path, and the TV players must try to avoid them through guessing which paths to take. Another game turns the GamePad player invisible, only giving away their location through walking on special tiles that light up when passed across. 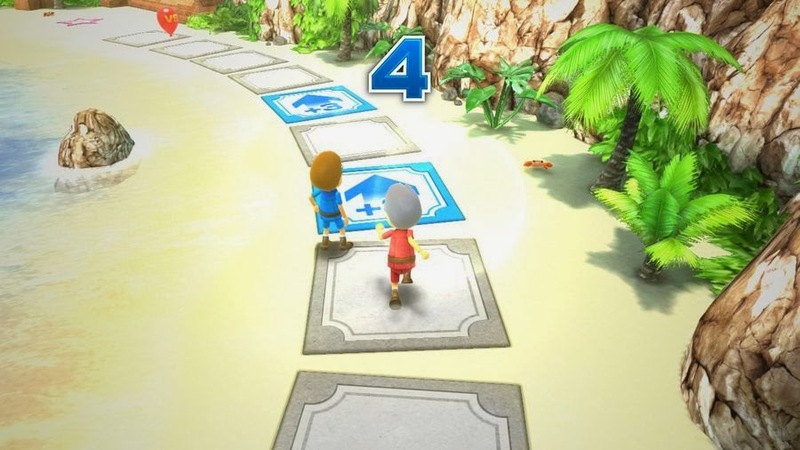 The goal of the Wii Remote players is to tag the invisible player using the lighted tiles as cues to where he or she is currently at. gloves while the others try to avoid them. House Party features some of the most ingenious and entertaining uses of the Wii U GamePad, and offers an abundance of opportunities for raucous laughter. One mode has you and several acquaintances crossing arms and fingers as you press buttons on the GamePad and Wii Remotes in what could be called a finger-centric form of Twister. Another mode has you and several friends and/or family members each passing the GamePad along as you draw the specified object on the screen. The catch is that one of the players will receive a different object than everyone else, and it's those players' job to decide which sketch represents that fact. Finally (but not the last of the many modes available), there's Name That Face, a mode where one player takes a selfie of sorts with the GamePad's camera, displaying some kind of emotion or expression for the other players to try to guess via multiple choice. This latter mode created such hilarity in my household. It was really one of the more popular modes among family members. How good is your finger fu? The last of the three categories of modes, GamePad Party, uses the Wii U GamePad to completely removes the television from the equation. 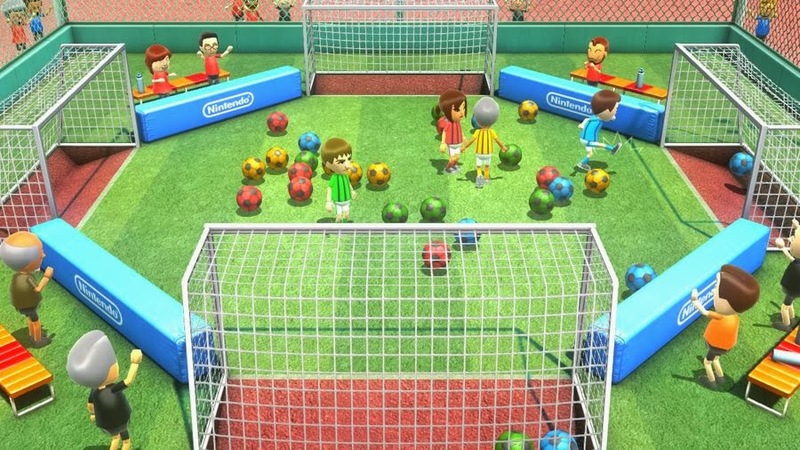 These tabletop games feature gameplay wholly performed on the GamePad screen, having players share the controller, albeit on different sides of the screen. Such offerings include foosball and baseball. For foosball, each person controls their players with the analog stick, flicking it up or down to kick the ball while moving the stick left and right to control the goalie. Meanwhile, baseball has players alternating between batter and pitcher for an up to five inning game. The pitcher throws the ball by making a quick flick for a fast pitch or a small movement for a slow pitch. This is all the while the batter tries to time their swing to hit the ball into one of the five areas in the outfield. Depending on where their ball stays, they can get a single, a double, a triple, or a very rare (as its in the center of the outfield) home run. The batter must contend with three moving holes that if the ball drops into is an automatic out. 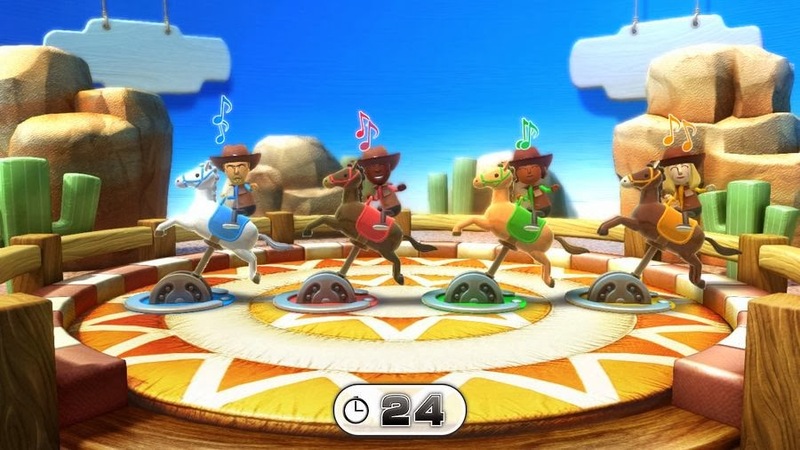 That's just the beginning of the immensely accessible tabletop games available in Wii Party U. What makes Wii Party U most exciting to me is how it puts the Wii U hardware's many capabilities into excellent use. It's a game that allows players to come across a wide array of compelling gameplay types and activities that are simple to pick up, understand, and enjoy. These highlight the significance of the Wii U's differences to other competing platforms and tell the player "okay, THIS is what the Wii U is good for." . It floors me how Nintendo stealthily shoved this title out the door with little fanfare. 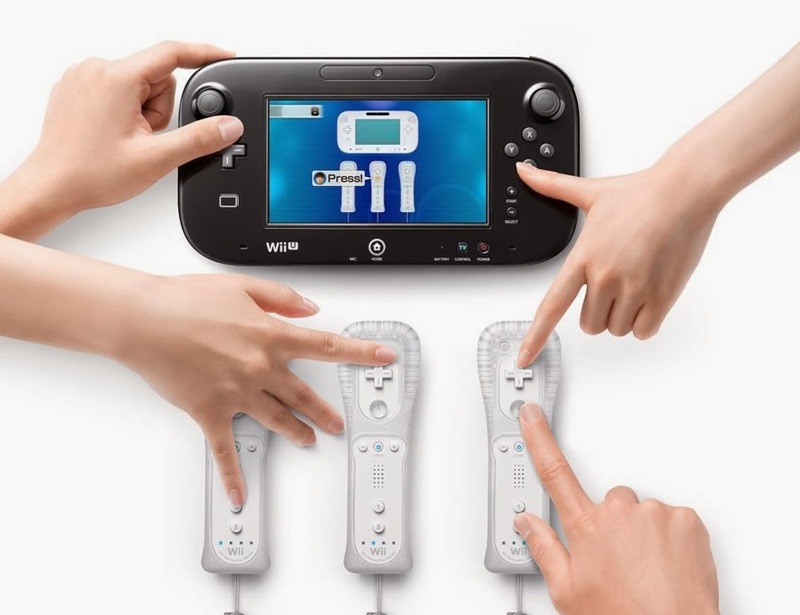 There are countless skeptics who don't understand the Wii U and what it is capable of, and Wii Party U would show the GamePad's significance to a lot of these people, as well as many developers who seem to be dumbfounded by what to do with the Wii U's controller. Why did Pac-Man come into my mind again? Didn't we already do a Pac 'n Roll review this week? Still, even with being one of the best games that utilize the features of the Wii U hardware, there are a selection of modes that please less than others. Furthermore, Wii Party U is a party that is best had with other players. As a solo party, Wii Party U isn't half the fun, as you're literally missing out on half the modes available to you. Regardless, if all of what I've described sounds good to you and you have fellow humans to enjoy the game with (and you'd love to get an extra Wii Remote Plus that comes bundled with the game), you should definitely RSVP to this particular party ASAP. 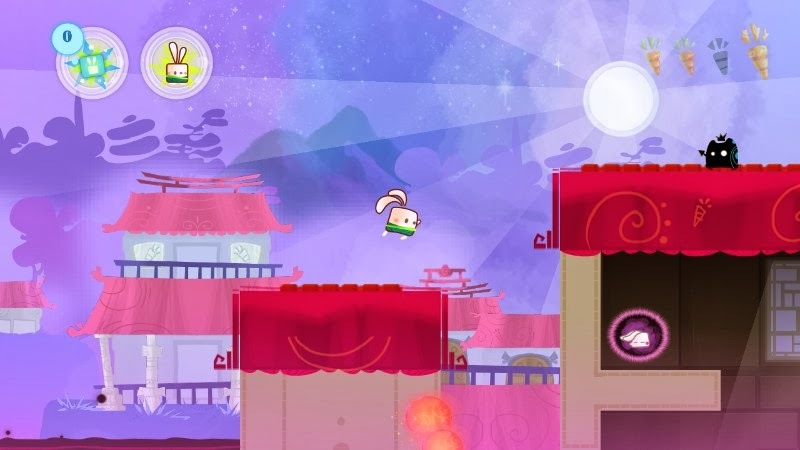 Moving away from retail releases, Kung Fu Rabbit released on iOS and Android devices originally. Last spring it released on the Wii U eShop. The following summer it showed up on the PlayStation Store. Now, it comes hopping along with onto the 3DS. With three different chances to wow gamers, is Kung Fu Rabbit worth looking into? Here's our review. 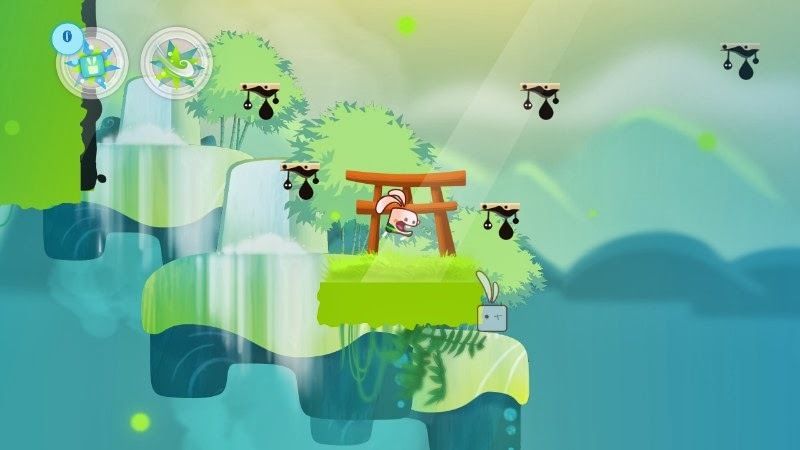 Kung Fu Rabbit is the latest in iOS and Android games making its appearance onto dedicated home console and handheld marketplaces, notably the Wii U and 3DS eShops and the PlayStation Store. 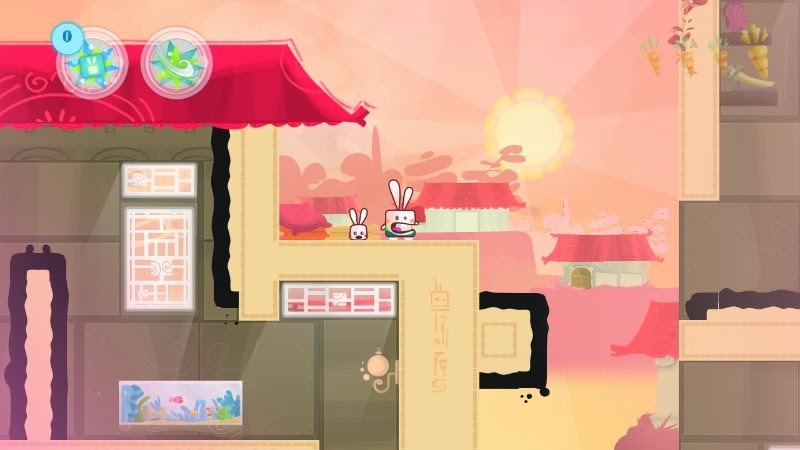 With obvious inspiration from the super successful Super Meat Boy, Kung Fun Rabbit remains its own entity with clever level design and a less agonizing difficulty. That said, will Kung Fu Rabbit need a lucky rabbit's foot to get a passable score? 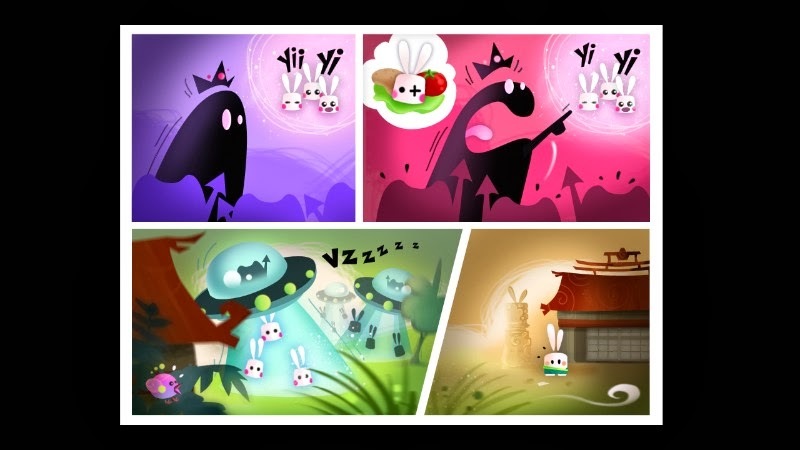 Told through comic book style panels, the simple story of Kung Fu Rabbit shows rabbits being kidnapped by some kind of evil force. This force leaves behind two things: 1) black goo that comes in the form of enemies, spikes, and other hazards, and 2) the rabbit master. The latter is one thing these nefarious do-badders will regret, as this rabbit wants revenge.. and carrots. Lots and lots of carrots. Hmm. Daffy Duck was right. 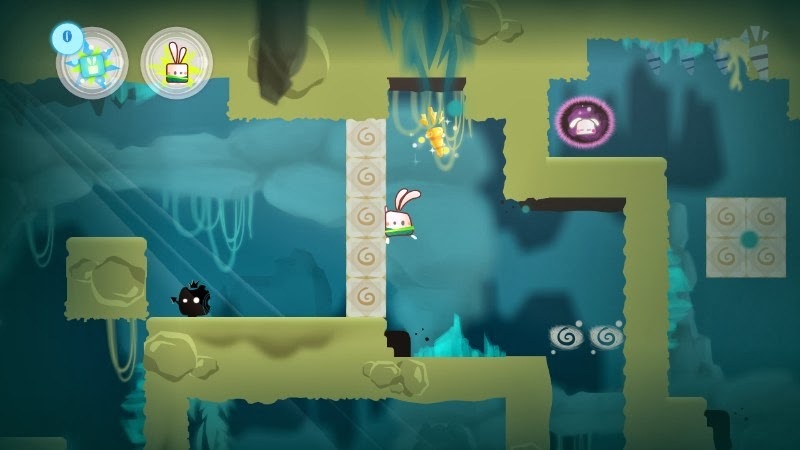 Kung Fu Rabbit has you controlling the titular hero through individual, short 2D levels with the goal of rescuing the trapped bunny that is held at the end of each level to progress to the next. On the way there, there's plenty of obstacles to make your task much more interesting. From black pools of goo to moving enemies that can only be defeated through making contact with their weak points, this rapid moving rabbit has a lot to contend with. Seeing as all it takes is one hit to send your bunny into the next world, precision jumping, Mega Man X-esque wall climbing, and timing are of the utmost importance. The improved load times compared to the original mobile versions offer an instant return to the action upon failure. defeated with an attack from behind. Although the rabbit's leaps are a bit floaty, he controls well otherwise. The addition of buttons grants the console and handheld versions of Kung Fu Rabbit superiority over their mobile counterparts. This is immediately apparent in the more troublesome levels, where precise controls are necessary. The touch screen isn't too friendly for precision platforming, especially if you have to act quickly. Aside from saving each rabbit from its purple bubble prison, there are optional carrots to obtain. There are three small carrots and a larger golden carrot. Collecting all of these in a level makes it completely beaten. If you're one who likes a challenge, as many of these carrots take some death-defying platforming to pull off, putting you in hazard's way, collecting everything in a level is sure to bring you some replay value. Mega Man X would be proud, master. These carrots aren't just meant for hoarding, either. The iOS and Android versions of Kung Fu Rabbit used in-app purchases as opposed to the Wii U, 3DS, and Vita versions' carrot currency. These can be used in the shop to purchased helpful items to make levels less daunting. You can also use carrots to simply purchase new worlds, as opposed to unlocking them through the usual means of beating levels. However, as a wise ninja once said, "The road to greatness never has shortcuts." ...Okay, I made that up, but it does sound thoughtful, does it not? Kung Fu Rabbit consists of three starting worlds, each possessing 20 levels to them, each lasting 30-60 seconds, not counting retries. Starting off, levels are a breeze, almost insultingly so, but with continued progression, the challenge becomes far greater with new takes on familiar obstacles. There's even a fourth bonus world that contains the most challenging of levels with no carrots to collect, just the goal of making it to the end in a platforming fight for survival. If that's not enough, remixed levels open up after the initial three worlds are completed. Thus, Kung Fu Rabbit definitely has the content to it. The game has a charming cartoon-y art style to it, but the game overuses the same small spattering of level locales that things eventually get boring. Deja vu is a common occurrence when so many levels have the same background and assets to them. There's not just repetitiveness in the scenery, either. The music of the game features extremely short loops of audio that fast become offensive to the ears. The sound effects don't fare much better, only offering the abundance of bubbling goop and little else. It is this part of Kung Fu Rabbit that doesn't do much to excite. For which version is the best, all perform well. 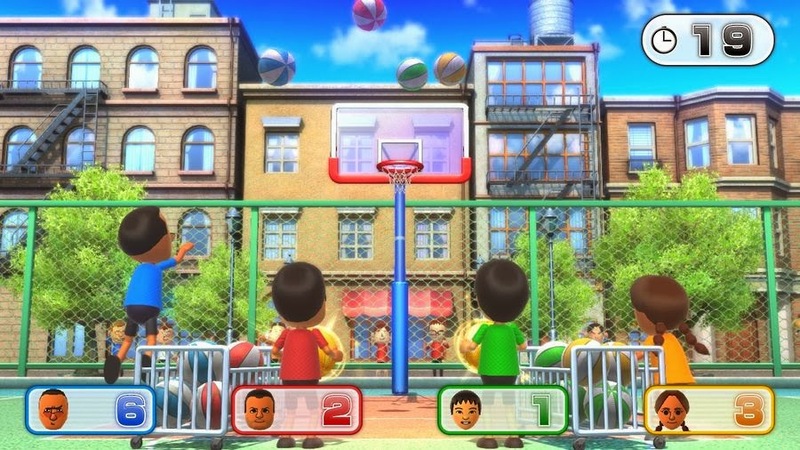 Although the 3DS version does not feature stereoscopic 3D at all, which is a shame because the game's backgrounds would look way more interesting with the effect. The Vita version has optional touch and back touch screen controls, but buttons are really the way to go. Finally, the Wii U version supports the ability to play the game solely on the GamePad screen. It's all a matter of platform preference, really. Jeez. Not even a simple "thank you"? 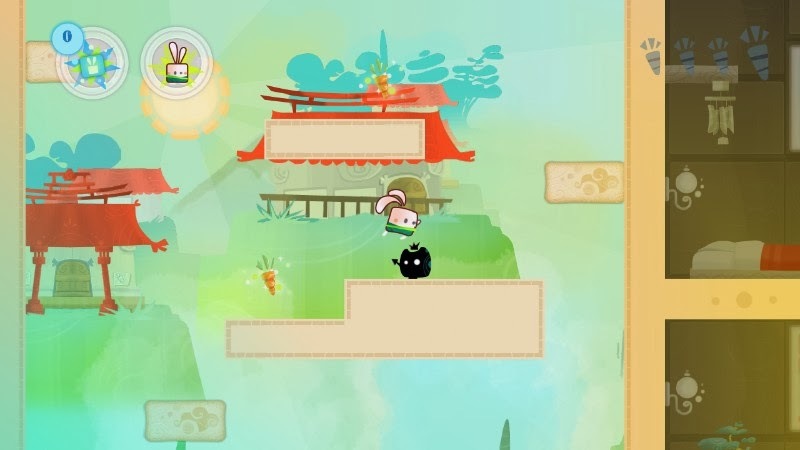 Kung Fu Rabbit is a terrific pick-up-and-play-for-five-minutes game. It's not the most original game around, nor does it feature the most variety. It does, however, bring the player a reasonable challenge (not so much in the early going), cute visuals, an admirable amount of levels, fun achievements, and competent platforming. If you enjoy skillful platformers, then by all means jump down the rabbit hole. Otherwise, the lack of visual and sound variety, and some cheap level design will most likely frustrate you. Continuing a week of reviews, including one for our founder's birthday this Thursday, we have a review of the latest Ratchet & Clank adventure entitled Into the Nexus. See what we think of the last installment of the Future series with our review. 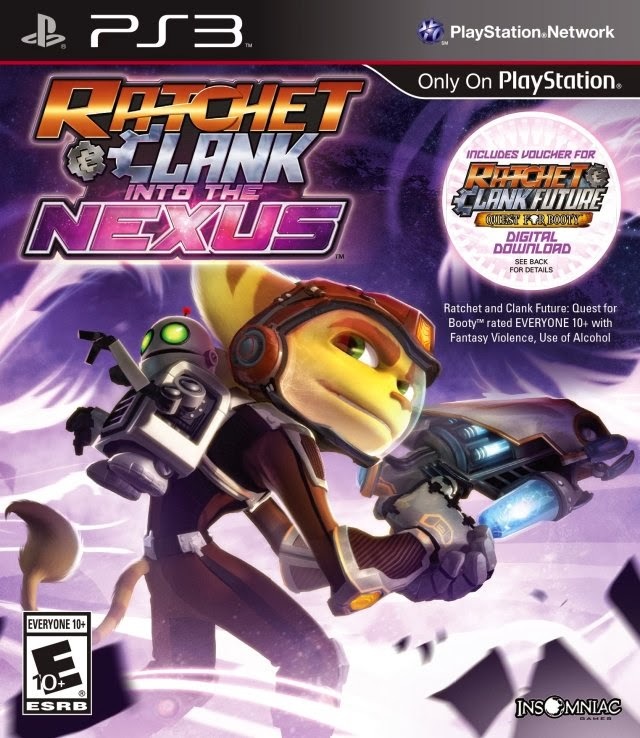 For over ten years now Ratchet the lombax and his robotic buddy Clank have enamored PlayStation gamers with top shelf platforming action. The duo has also done their share of disappointing players, notably with titles like Ratchet & Clank: All 4 One and Ratchet & Clank: Full Frontal Assault. While these alterations to the structure of the series were admirable for taking big chances, they weren't really what fans wanted. 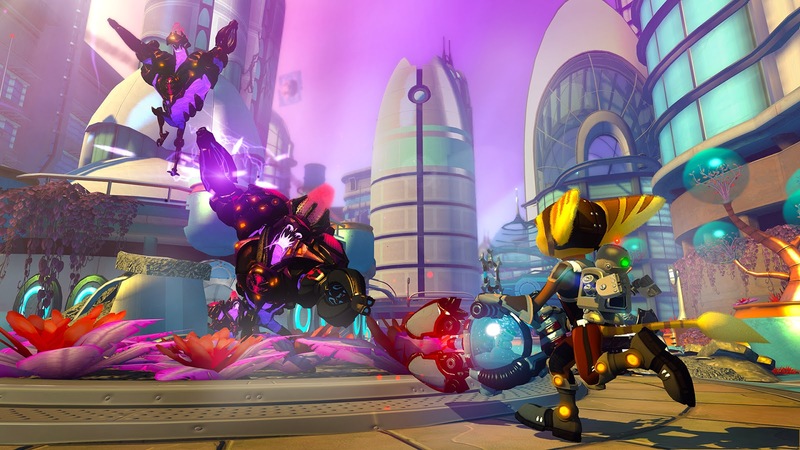 With Ratchet & Clank: Into the Nexus, Insomniac Games gives fans of the franchise the type of gameplay the series is known for-- and with a smaller price to boot. Does Ratchet's latest tread too much familiar ground, or does this lombax know some new tricks? Our tale starts off with Ratchet and Clank aboard a prison ship, armed with the task of safely delivering a wily criminal, Vendra Prog, to a detention center. Of course, if this went well, we wouldn't really have a game on our hands. No, the ship's systems malfunction and Vendra's brother stages a jailbreak with the help of some hired goons. In the turmoil of all of this, longtime friends of Ratchet and Clank, Cronk and Zephyr lose their robotic lives. Now with a mission of revenge, Ratchet and Clank must track down both Vendra and her brother before their plan destroys the entire universe. Into the Nexus' story contains the trademark humor the series is known for. The scenes are enjoyable to watch, and if you're not digging the story, they can simply be skipped. 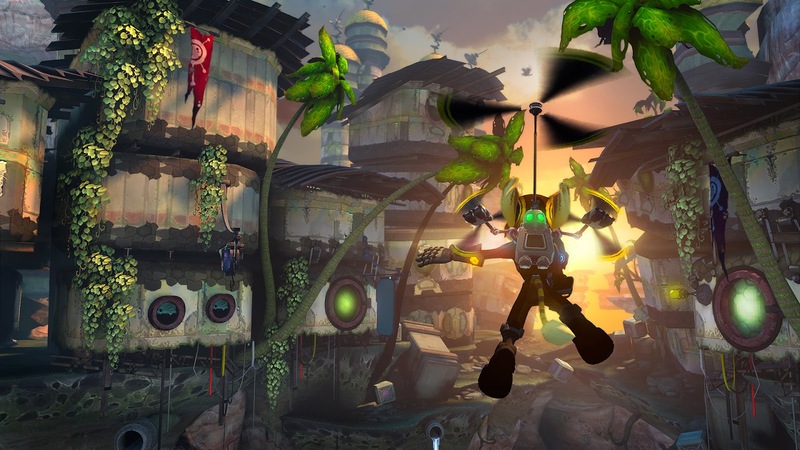 After deviations in the series' formula, the iconic Ratchet & Clank gameplay of titles predating All 4 One and Full Frontal Assault returns after a long absence, albeit in a much more bite-size form. Into the Nexus has you exploring planets, each featuring exotic locales of some sort that the heroic duo visit. From a flooded city to a murky swampland, the planets featured in the latest Ratchet & Clank contain a lot of variety. give off a quality over quantity vibe. Ratchet & Clank: Into the Nexus has you using weapons purchased with bolts, the franchise's currency, from vendors sprinkled throughout the game's five planets to take down enemies of all shapes and sizes. Using weapons repeatedly will eventually upgrade them automatically, boosting their abilities exponentially. For instance, Ratchet's starting gun, the Omniblaster, transforms once it reaches level 3 to the Dual Omniblasters, A mineral known as Raritarium, located in mostly hidden locations and found by defeating foes, lets you tune up guns and other weapons. Increases to how much ammo a given weapon has, rate of fire, Raritarium and bolts each defeated foe gives you, and more are done through tuning up weapons. this much heat, you best start running. The weapon variety is quite admirable in Into the Nexus, offering plenty of ways to blow enemies into oblivion. From a powerful sniper rifle in the Plasma Striker to the boom-bringing shotgun the Temporal Repulsor, Ratchet will be able to have an amount of arms to rival many countries, much more his enemies. Creativity abounds in the weapon design, as one would expect from the series. A personal favorite of mine, the Winterizer plays a version of Jingle Bells as you spray baddies, eventually turning them into snowmen. Smashing them wide open reveals presents, each containing a nice chunk of bolts. 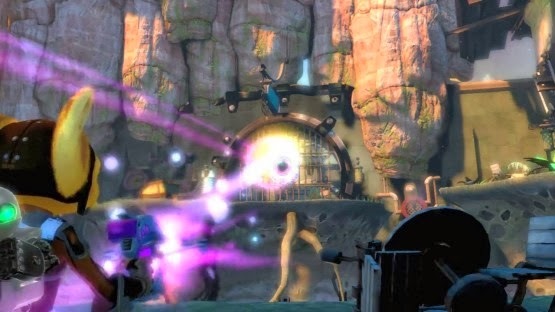 Alongside weapons, gadgets are an important part to the Ratchet & Clank series. Into the Nexus doesn't disappoint, offering many returning gadgets, such as the Swingshot, increased agility Hoverboots, and Jet Pack, allowing temporary free-range flight. However, a big focus in Into the Nexus is on gravity. This is apparent with the early introduction of the Grav Tether. 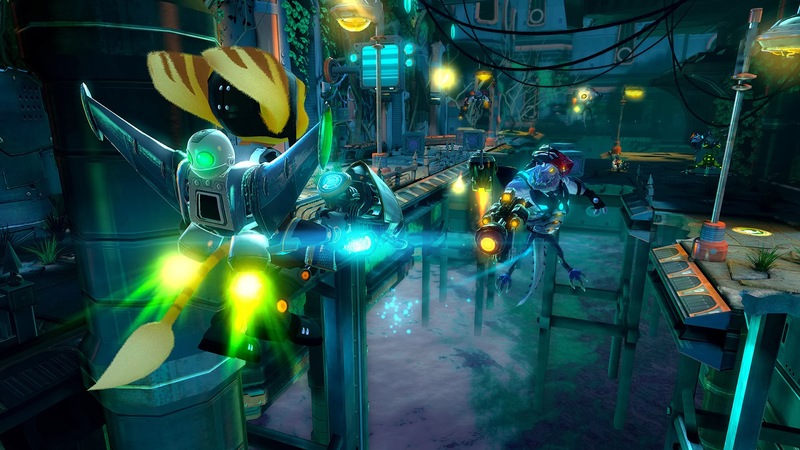 This gadget allows Ratchet to aim at special targets and create a beam of gravity between them, giving the brave lombax the ability to ride on the beam. Several puzzles force you to think about which target you shoot at first, because that target will be the starting point. The second target is where the gravity beam will move Ratchet to. Behold, the power of the Grav Tether! Ratchet doesn't get to hog all of the gravity-based gameplay. Clank has a large role to take as well. This comes in the form of opening rifts. 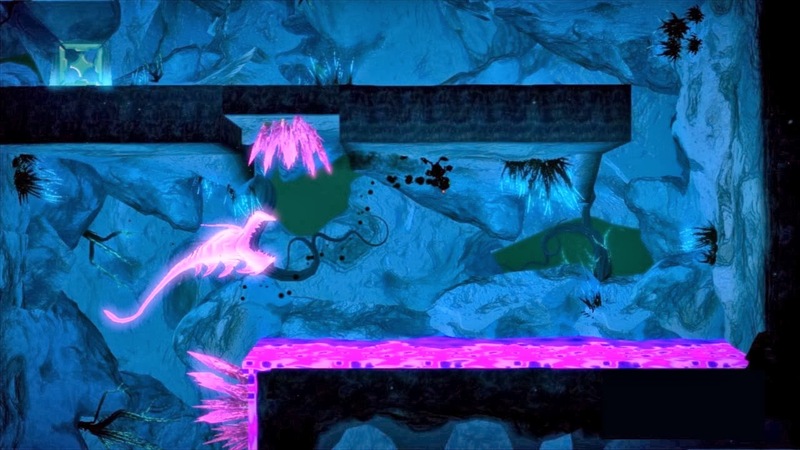 Inside these inter-dimensional areas, the game is played similar to a 2D platformer. The thing that makes these truly fun is that with the right stick, you can control the gravity of each 2D segment (e.g. flicking or moving the right stick left with make Clank fall to the left). The developers present some clever concepts and puzzles to solve with this mechanic, and these sections don't overstay their welcome because there's but a handful of them to do. is running on the ceiling. 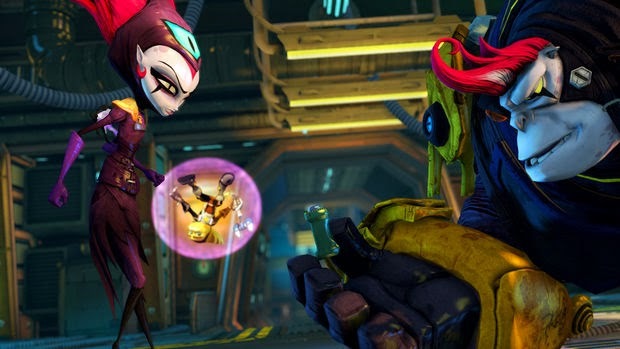 Into the Nexus is not your typical Ratchet & Clank adventure. It only has five planets to venture to, and one of those is a coliseum-style planet. In total, a first run of the game will most likely take you five hours. That's including some time uncovering hidden Gold Bolts, acquiring all the pieces of the omnipotent R.Y.N.O gun, and completing skill points-- objectives like beating a boss without taking damage, destroying a dropship, among other tasks-- which unlock cheats to be used in the game. Lombaxes aren't natural air creatures. You wouldn't be able to tell, though, with Ratchet. While the amount of planets is indeed small compared to other games in the series, what saves Ratchet & Clank: Into the Nexus is two things. The first of which is the price tag, a modest $30.00 USD. The other is a mode that fans of the franchise are most likely super familiar with, Challenge Mode. This mode unlocks once the initial game is beaten, and allows you to play a harder version of the game. However, you're allowed to bring over the weapons and armor you have in your collection, as well as the upgrade levels each are at. In addition to all that, weapons that have been upgraded to level 3 are available in the shop in more powerful form, granting the ability to upgrade them to level 6. The prices are a bit exorbitant, but a helpful bolt multiplier makes it so the bolts you earn rack up quite quickly. As enemies are defeated, the number bolts are multiplied by raises. The highest it can go is 10. However, taking damage brings the multiplier back to 1, and you must build your way up to a high multiplier again. Ratchet & Clank: Into the Nexus is a stunning game to behold. The amount of complex geometry being displayed on screen at the same time, the special effects, and character and environments are all incredibly beautiful. The art design itself makes the already dazzling visuals even more spectacular. It's not all perfection, though, as there are notable signs of enemies, crates, and pieces of scenery popping into view abruptly, and some slowdown when the action gets quite heated. Then again, when the frame-rate problems did occur, there were about twenty enemies in sight and multiple special effects happening. Gorgeous sights abound in Into the Nexus. The Ratchet & Clank series has always been known for its impeccable voice acting, and Into the Nexus does not disappoint in this regard. The lines of dialogue are delivered well for both comedic and dramatic effect. What doesn't impress as much is the soundtrack. Even after repeated plays, I can't recall any of the themes heard in the game. They surely suit the action and platforming happening on screen, but they don't leave a permanent mark in the mind for future reference. Ratchet & Clank: Into the Nexus is a much welcomed return to the formula the franchise has been known for outside of entries like Deadlocked, All 4 One, and Full Frontal Assault. The game's campaign is relatively short, but multiple difficulties, Challenge Mode, hidden trinkets, skill points to obtain, and weapons to fully upgrade keeps the play time from being all too short. To do everything there is in Into the Nexus will probably take 15 hours. After some series missteps, it's abundantly reassuring to see that Insomniac Games has not lost sight of what makes Ratchet & Clank so cherished as a video game franchise. I personally can't wait to see the beloved lombax's first PlayStation 4 adventure, now that Into the Nexus has whetted my appetite, and I'm certain I'm not alone. While the latest Ratchet & Clank isn't the longest platformer around, what players of the game will find is a title that is short and oh-so sweet. Pac-Man is a character that has seen some mileage. While he's nowhere near as popular as in his arcade days, we at SuperPhillip Central still have fond memories of the old dot-muncher. We recently looked through our Nintendo DS archives and found this intriguing title featuring Namco's mascot, Pac 'n Roll. This might not be the most interesting or recent game out there, but for our sake, just roll with it. 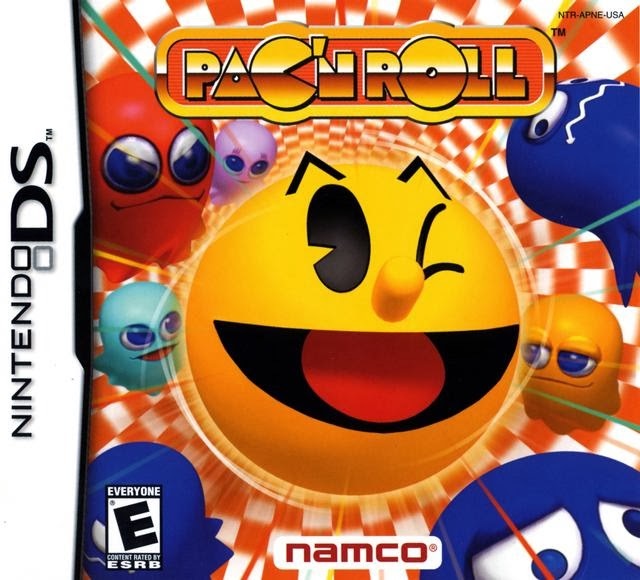 Within the first year of the Nintendo DS' launch, Namco had two unique Pac-Man titles for the system already released. The first was a proof of concept turned game in Pac-Pix, while the other, the subject of this review, was Pac 'n Roll, a game that fans of Super Monkey Ball or Marble Madness will find a lot to love about. As for everyone else, Pac 'n Roll will allow its players to have a ball. The story of Pac 'n Roll has Pac-Man and his friends turned into spheres by a galactic ghost with a craving for rock 'n roll, Golvis. Capturing every Pac-Person besides Pac-Man, our hero is helped by a fairy that watches over Pac-Land to escape from Golvis' grip, allowing him to come with a plan to rescue his friends and make Golvis' plan end on a sour note. 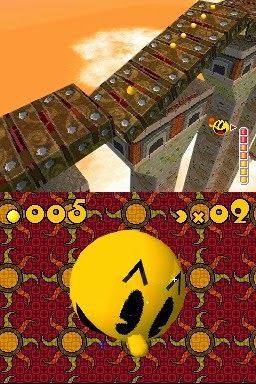 Pac 'n Roll is pac-ked with intriguing level ideas and stage concepts. Pac-Man will be rolling down hills, navigating moving platforms, bouncing up with the help of jump pads, riding down chutes and passageways, negotiating hairpin turns, catching a ride on lifts, carefully adjusting Pac-Man's weight as he rolls along a seesaw-like platform, avoiding enemies and obstacles, and much more. Each level tasks Pac-Man with gobbling up a certain number of dots. These dots open up gates that block the player's progress until they have gathered enough dots to pass through. Although it is not mandatory to nab all of the dots in a given level, doing so will reward the player with special challenge stages (some funner and less frustrating than others) as well as diamond gems to expand the replay value of the game. There's also hidden gems in each level to find, opening up more in the way of levels. Challenge comes in the form of hazards, both environmental and from enemies. Obviously, falling off a level is a hazard onto itself, but there's also enemies to worry about, each taking off a sliver of Pac-Man's health when tangled up by them. These enemies are the tried and true ghosts that Pac-Man knows all too well. However, in Pac 'n Roll, once these ghosts have been eaten, through consuming a power pellet, they don't reappear until you leave the level. The only exception to that rule is with the game's boss battles, each having you take on Golvis in a different venue. These battles require Pac-Man to eat three power pellets to make Golvis vulnerable, allowing our hero to run into the boss and damage him. This takes three times for every battle save for the final encounter. Pac-Man has the ability to change costumes through rolling over different varieties of chocolate, thus giving him some headgear to wear. For example, the knight helmet makes Pac strong and slow, making him sink in water like a brick and not be pushed around by strong winds. 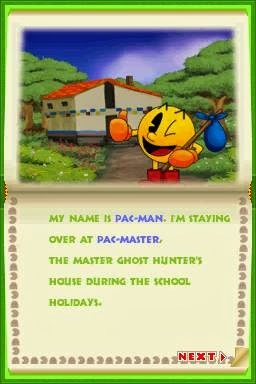 Conversely, the winged Pac-Man costume, having Pac don a Robin Hood-esque cap, allows Pac to move around levels much faster than normal, skim across water, and glide. However, strong winds blow Pac-Man around like a piece of paper in a tornado. Rolling over the right transformation chocolate depending on the upcoming dangers is paramount to progressing in Pac 'n Roll. Pac 'n Roll features a unique control scheme that is not only creative but quite intuitive, too. 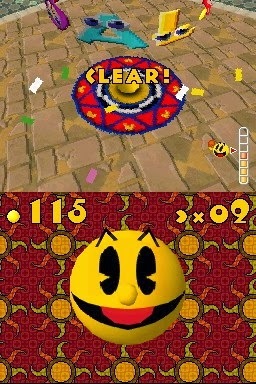 The top screen displays the game world while the bottom shows a closeup version of Pac-Man. Through swipes of the touch screen over the enlarged ghost devour-er, you control which direction Pac-Man rolls through the game's levels. Faster swipes mean a faster Pac-Man. Sure, all of this could be done with a trackball, but what kind of handheld system these days would have such a device? Sometimes Pac will need to get up steep inclines or bust through blocks. By holding the stylus on one edge of the touch screen and then quickly drawing a line to the opposite edge, Pac-Man will perform a speedy charged boost in the direction of the swipe. All this combined with the ability to manually rotate the camera with the directional pad, and moving Pac-Man around the game's levels is a usually simple task. 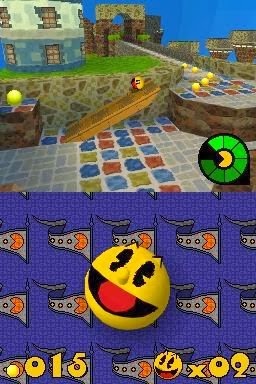 Physics play an important part in Pac 'n Roll, and thankfully the physics at work in Pac-Man's world are very much serviceable and work like one would expect them to. Slopes will push Pac-Man down them if he stays idle on them, ramps will allow Pac-Man to catch some air, and so forth. This makes for a game that is very enjoyable to play, offering quasi-realistic physics and hazards to keep things fresh. The biggest issue with Pac 'n Roll is that the main story can be completed in less than three hours. That's going through all six worlds, but to be fair, the sixth is simply a series of encounters against Golvis. Collecting gems and dots on every level opens challenge levels to try to overcome, but nowadays a game so short would not pass in the retail space. Pac 'n Roll feels perfectly suited as a downloadable game rather than a full retail release. Pac 'n Roll looks relatively nice as a first-year Nintendo DS release. The 3D engine used works wonderfully. The frame-rate is always locked at a steady 30 FPS, the camera is far enough away from the action that textures aren't viewed as heavily pixelated. As for sound, the music matches each world, but unfortunately, most of it is forgettable, even though all of a world's levels play the same tune. It would have been nice to have more variety. The gibberish heard in the still-frame scenes from characters is cute at first, but it eventually does get grating. For those looking for a fun way to pass the time and those that enjoy titles like Super Monkey Ball, Marble Madness, or Kororinpa: Marble Mania, Pac 'n Roll seems like an obvious pick to add to one's DS collection. It works on Nintendo 3DS systems, after all. Whether you want to play in short bursts, which is possible as the game saves after every level, or long, extended gaming sessions, Pac 'n Roll is a great demo turned full game that makes great use of the Nintendo DS's unique hardware. The game runs (or is it rolls?) a bit on the short side, but the experience is entertaining enough to play through multiple times.